Uber driver: Banning those below four stars? I don’t rate it. Uber has rolled out a new security feature that will see users who dip below four stars struck off the system. As a driver, it’s not as clear-cut as that. There’s been a lot of discussion about the rights gig economy workers have. Sadly, big business can choose not to just ride it out. Dates, app memberships, Ubers. The monetary cost of dating in the modern age is spooling out of control. What a week it was. Donald Trump started a fight with Canada, a horrible crime shocked a nation and Uber looked to curtail drunks that use their product. We’ve all been too drunk in the back of an Uber, but a patent filed by the company might put a clamp on our good times for good. Morning! Overnight we’ve witnessed Trump do something foolish, Uber do something somewhat concerning, and Hollywood do something extremely bogus. The limp Sunday bus timetable has long curtailed the social lives of many Canberrans, especially those who don’t own their own transport. Time for a change. One MIT study has crunched the data regarding how much Uber drivers actually earn, and the numbers don’t add up. And I should know. Sweet, loving Thursday. What happened while you were asleep? Well, Uber’s CEO abused Uber, Sydney’s summer heat tabulated, and Rugby’s first all-female panel. Monday. Yeah, I see you. What happened while you were asleep? Well, Kim Kardashian picked apart Trump, Uber lost some clientele and we witnessed the birth of twin goats. Morning, fellow students. What happened while you were asleep? Well, it rained, Trump complained and Uber will refrain…from leaving you alone. Think I pulled that off. No? Humpday! Tee hee. What happened while you were asleep? Well, Google decided to take on Uber, IS suffered a blow and Australia has a new PM (sort of)! 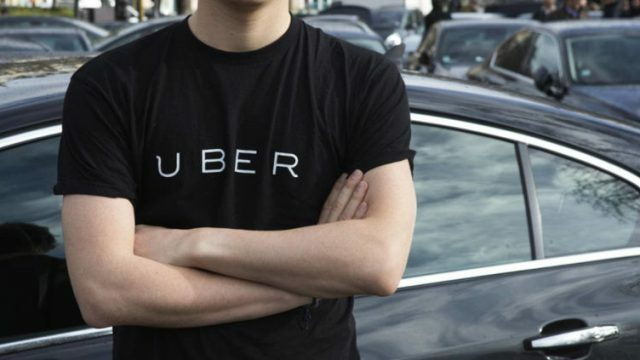 With ride-sharing app Uber now set to be legalised in Canberra, Andrew Birmingham breaks down the particulars of the incoming legislation. Is collaborative consumption the new online retail? Paul Greenberg outlines the rise of companies like Airbnb and Uber and wonders if collaborative consumption is the new online retail? Rainer the Cabbie makes the case for us to follow in the marching footsteps of the French Uber riots, outlining a thoroughly Australian solution. TBS hopes that the customers and employees caught in the Sydney Siege are safely released soon, and that people will re-think their social media contributions in the wake of the incident. Feeling maybe just a little bit vindicated, Rainer the Cabbie isn’t overly surprised by a range of serious issues arising over Uber, including reports of a sexual assault in India and data mining concerns.